Pontiak grew up and live on farms in rural Virginia. Dialectic of Ignorance’s expansive structures echo the rugged, hazy climbs of this Blue Ridge Mountain setting but don’t be fooled; this is no mere collection of pastoral instrumental landscapes. 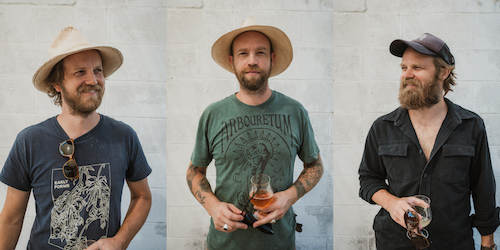 Having opened their own brewery in August 2015, the Carney brothers have had the opportunity to reassess their creative process through brewing. The lessons learned from this experimentation have had a formative effect on the both the process underlying and subsequent sound of Dialectic of Ignorance.